There’s something about a dessert that acts like breakfast. Or maybe it’s a breakfast posing as a dessert. Either way, it’s awesome. 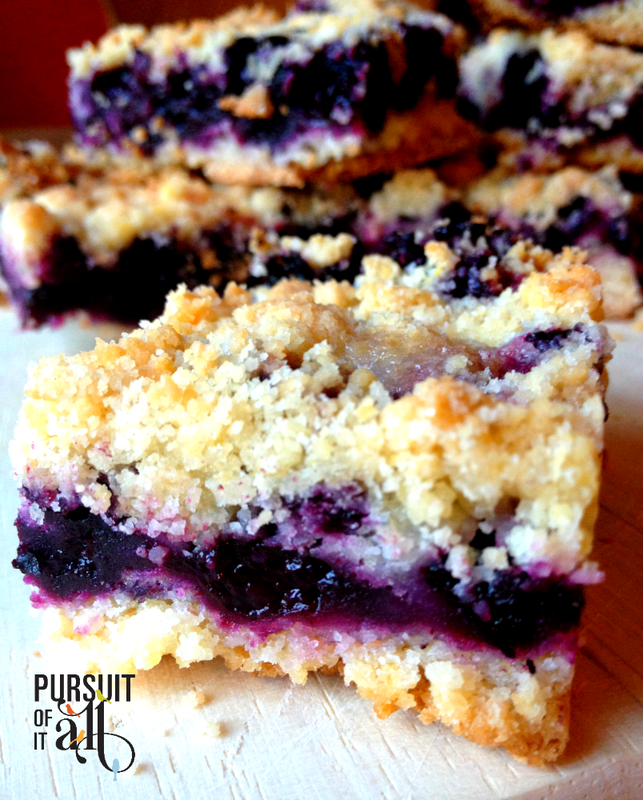 Blueberry crumble bars are meant to be dessert, a delicious shareable snack for things like book club, a picnic with friends, or break time with your co-workers (they’ll thank you tremendously, trust me). But, I’ve found they also go well with coffee in the morning. Not too sweet, a little tart from the splash of lime…perfect. 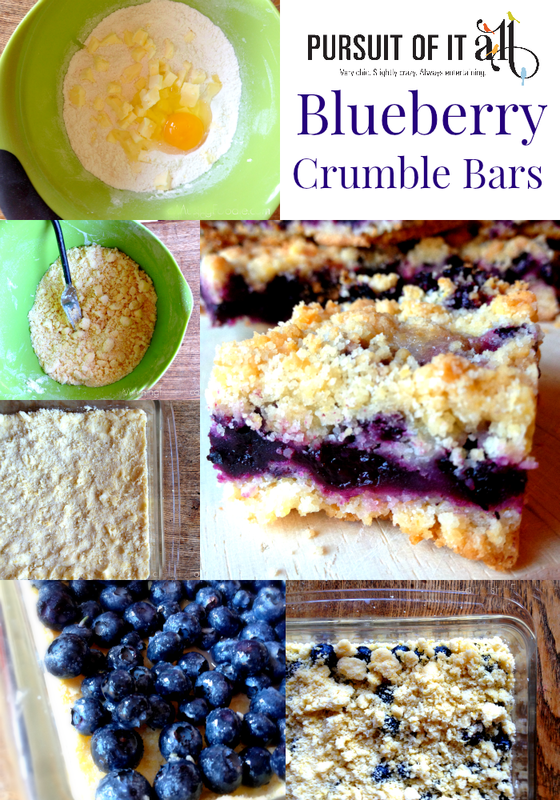 We happen to be heading towards the end of blueberry season here in Maryland, which means you can make these lovelies with local berries if you hit the farmers’ market. Rest assured, however, grocery store blueberries (and even the ones in the freezer section) will work just as well. You can also get crazy and substitute raspberries or blackberries, or something like gooseberries (which we grow here on our property). Know what else would be good? PEACHES. The perfect treat for dessert (or breakfast)! Combine the flour, ½ cup sugar, salt and baking powder in a mixing bowl. Add the butter and the egg, and then use a fork, your fingers, or a pastry cutter (if you have one) to incorporate the butter into the dry ingredients. The mixture is good to go when it reaches a coarse crumble. Press ½ of the crumb mixture into the bottom of the baking dish. In another bowl, whisk together the lime juice, ¼ cup sugar and cornstarch. 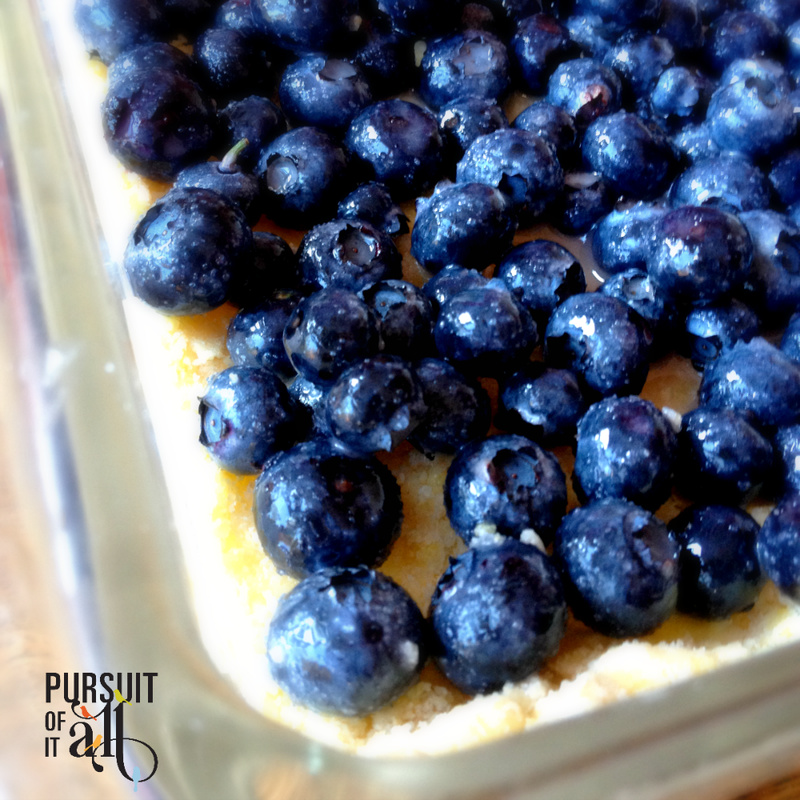 Add the blueberries and gently toss them to coat. Let the bars cool completely before cutting - I refrigerated mine overnight. I am making this tonight. I think you’ve led me to heaven. Yum!